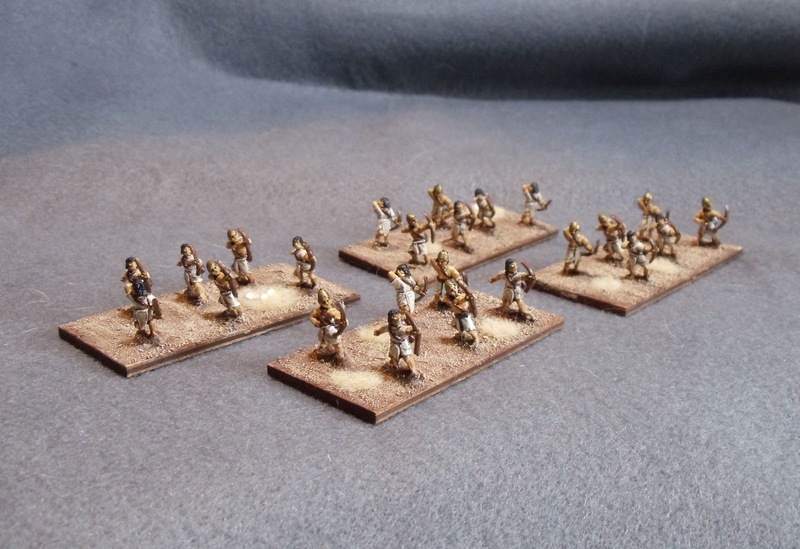 This week I finished off another batch of New Kingdom Egyptian archer bases. These figs are Old Glory 15's. 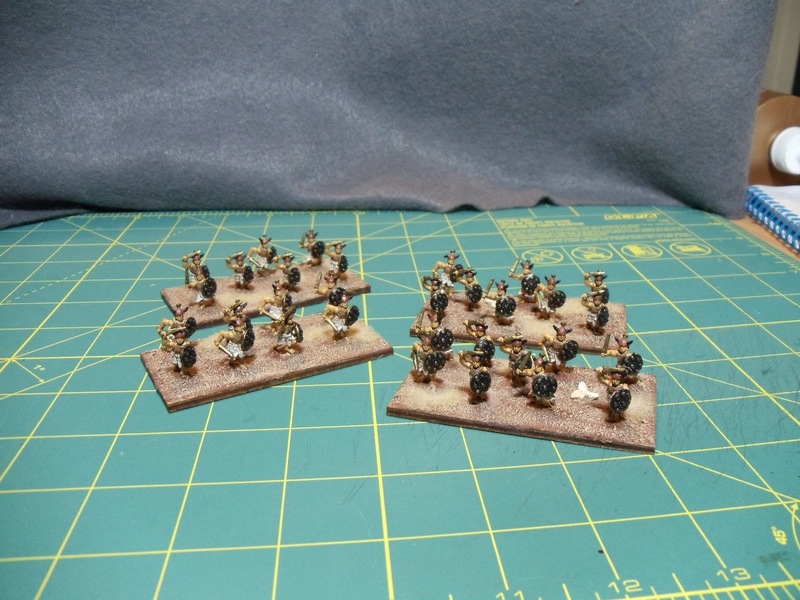 On my paint table are more units of chariots, spearmen and skirmishers. Also next Saturday is our annual Mayday convention and I've got my War Rocket game all ready to go. My scenario is going to pit Xenithians versus Pirates with a smattering of Imperials thrown in. 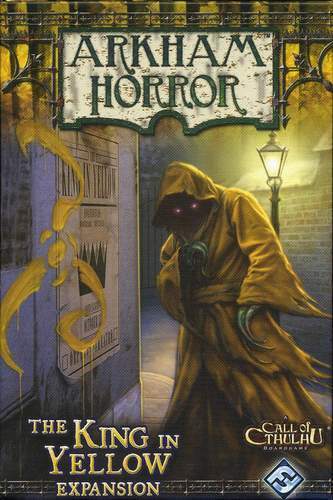 Last night I had some friends over for a game of Arkham Horror using the Dunwich Horror expansion and the King in Yellow expansion. Big surprise, we didn't win. With one group of friends we never lose and with the other group we never win. Last night's loss was mainly caused by the fact we had numerous Mythos cards with ongoing effects in play. At one time we had 3 of them going. Brutal. In the end we faced off against Yog-Sothoth. We game him a bit of a run but he/she/it prevailed in the end. Incidentally I've come to the conclusion that I need to come up with some sort of card stand for all the cards as they take up a considerable amount of room on the table. 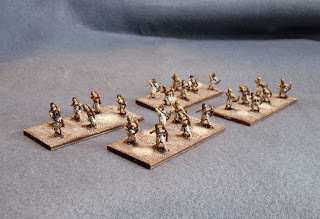 Finally finished some more bases for my New Kingdom Egyptian Impetus army. These are all Old Glory 15s figs. 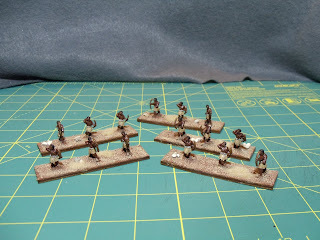 First up is 4 bases of Sherden heavy infantry. 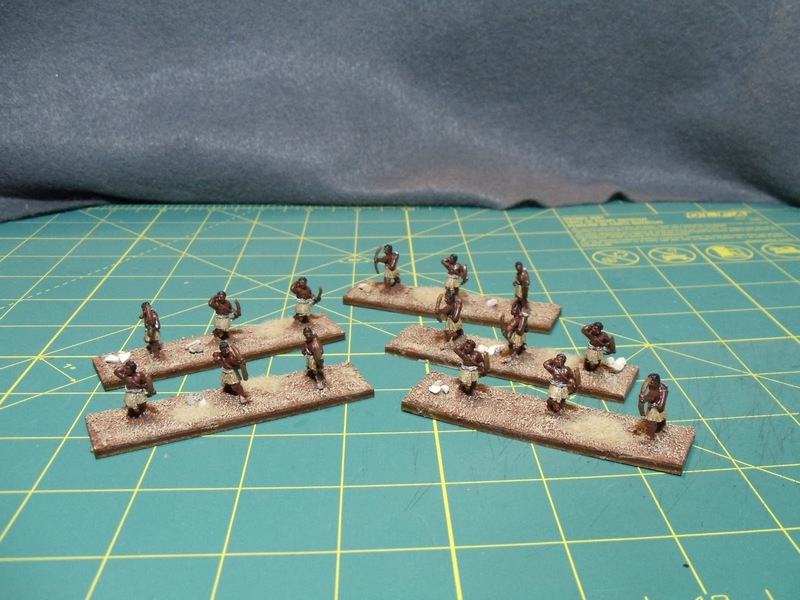 And the next pic is of 5 bases of Nubian skirmishers. 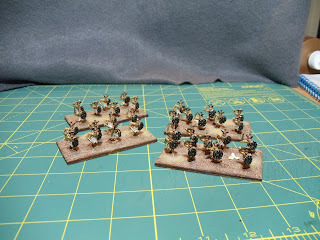 I've got some more archers on my table and after that should be some more chariots. Meanwhile I'm finishing up the terrain for my Mayday War Rocket game.